Sauces bring to life our everyday meals,they will always be key in complementing the flavours while adding into what would otherwise be a bland dish. Popularized by the South African franchise ‘Nandos’,Peri Peri is a barbecue sauce perfect for grilling meat or chicken. I love mangoes,it’s my second favorite fruit second to my darling pineapple,mangoes are in season and I have been working alot with them of late,mangoes now are at their best and not only are they delicious,but are healthy and packed with nutrients and anti oxidants. 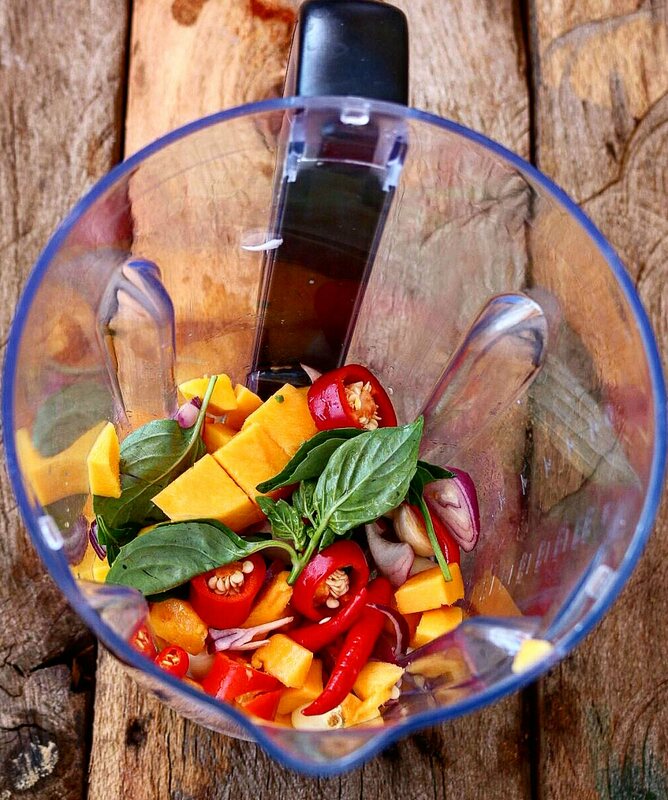 Mangoes are in season and are at their best in texture and flavour.Always use ingredients that are fresh and are in season. 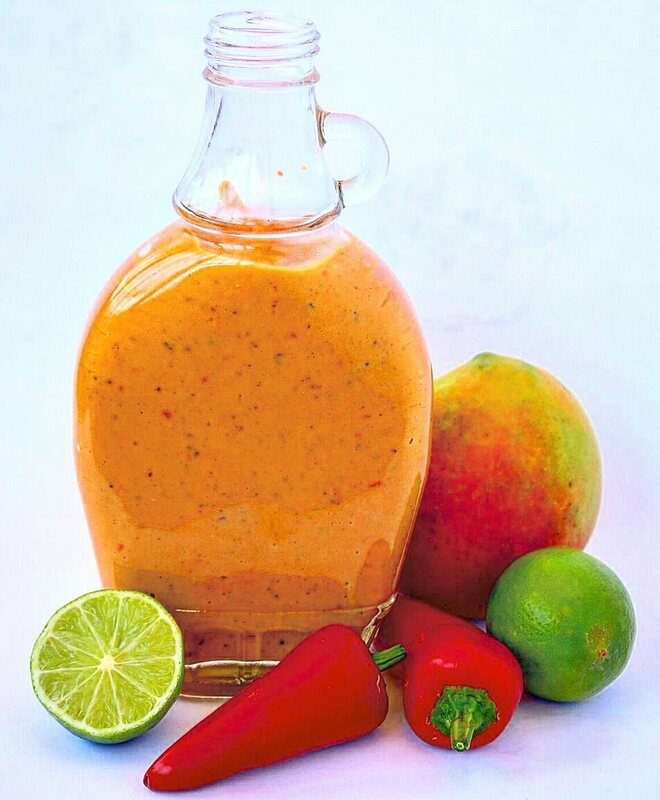 The mango provides for sweet aromatic mango flavours that balances well with the fiery hot chillies.Lime adds in freshness and zing to the sauce,you can use lemons,personally I dond lime works best.This mango lime Peri Peri sauce is best used as a marinade for chicken,beef or pork.Freshly made,my mango lime Peri Peri sauce is perfect as a dipping sauce and will go well with sea food,chips or wedges. This sauce is easy to bring together using fresh ingredients devoid of preservatives,all you need is your home blender and you are set. 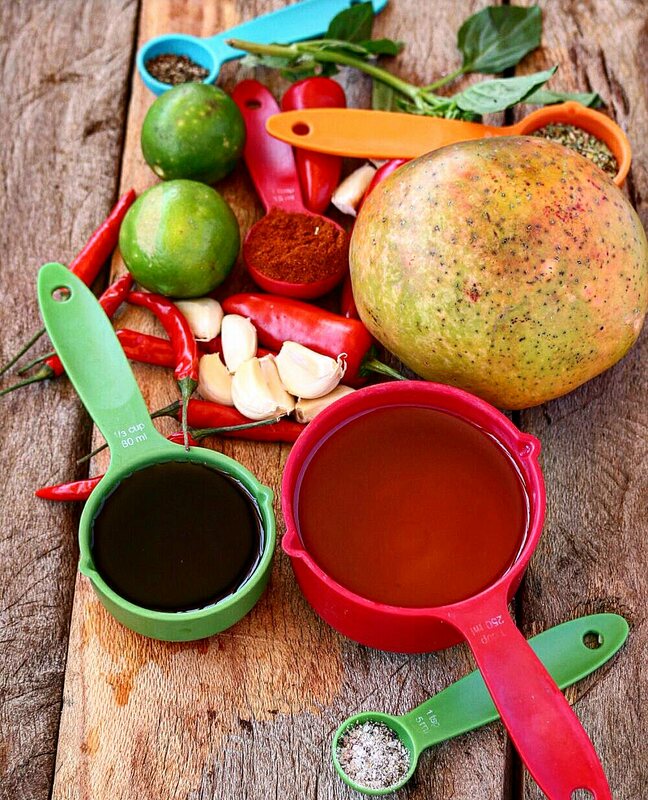 I usually make a large batch store it in my refrigerator ready to dip into or spice up my meats,my mango lime sauce will freshen up your normal chicken,pork,beef or fish injecting them with spicy tropical flavours that are to die for. 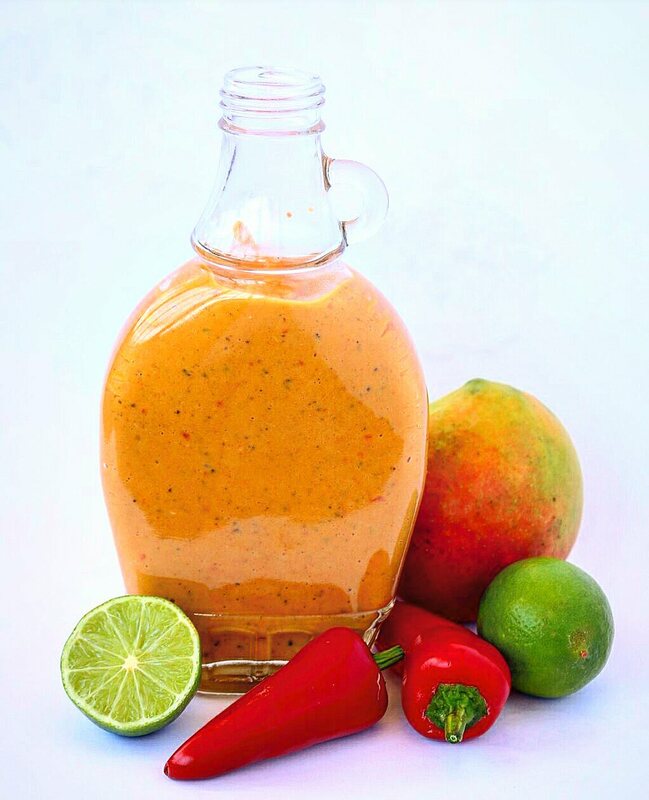 I made this mango lime peri peri sauce as a marinade but this days i find myself slathering it on anything as it’s that good,be it burgers,sandwiches,soups,rice meals it’s limitless on what it can go on. Now don’t get me wrong,I love the classic Peri Peri sauce but oh my,the mango is a game changer in this one and I am now torn between my Home Made Peri Peri Sauce and my mango and lime Peri Peri sauce,but these are problems that make me happy in life. Surprise your mates with this packaged in a fancy jar as a warm homely gift. I made this today and it tastes AMAZING! I can hardly wait to cook my chicken breasts that first brined in warm, salty water for 1 hour, rinsed and patted dry then put in a bag and poured this heavenly marinade on. I also bottled some which I plan to serve over a green salad: just butter lettuce leaves and nothing else as the salsa is so rich I don’t want to overdo the salad. I think it will go well also with blanched cauliflower so I’ll try that too. Love it! Made one without pepper as well, for my anti chilli friends 🙂 love the jar in the picture,is it available in Kenya? Thanks for the response, will be visiting Toy Market its been a while. this one is a must try. the camera you use to take the pictures is just perfect. i love your work. any idea how long this lasts in the fridge? looks epic and can’t wait to try it. thanks! 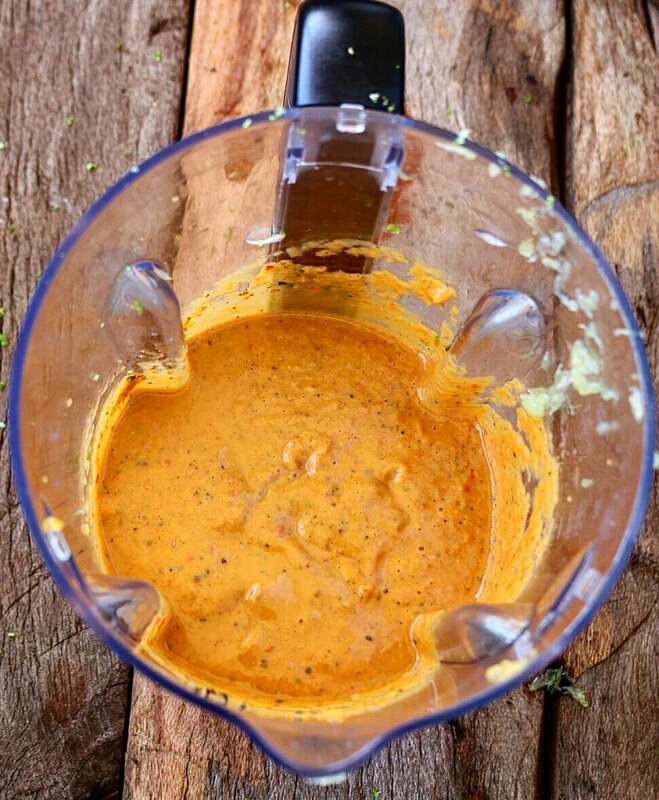 This is the best ever peri-peri sauce recipe!